For Back to School planning as a part of a sponsored post for Collective Bias I made Lime Cilantro Chicken Rice Bowl with a qualifying Tyson Project A+ Program products. I head back to school in a week and we’re trying to find as many quick dinners as possible because preparing dinner with a toddler and a newborn can be a bit hectic. 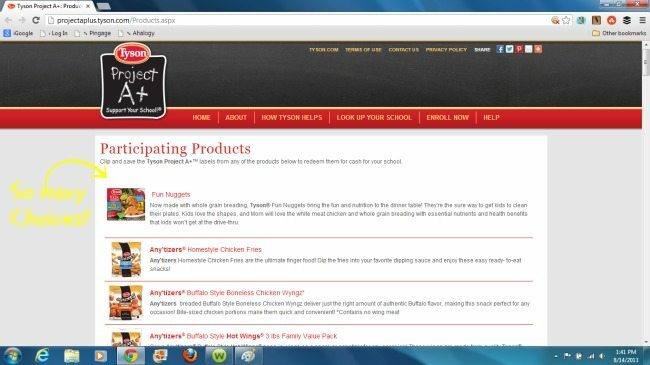 Luckily, Tyson offers a vast array of choices. The best part is that many of those choices are part of their Project A+Program. As a teacher in an inner city school district during an economic time when budgets are being cut in school districts, I appreciate programs that give back to your specific school. I know that by purchasing Tyson’s Grilled & Ready Southwestern Chicken Strips I’m not only making a fabulous meal with my Lime Cilantro Chicken Rice Bowl, but I’m also providing a donation for my school. It’s a win, win! 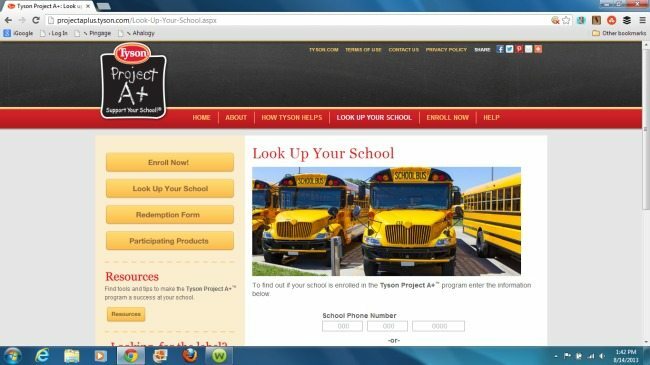 The process to sign up for Tyson’s Project A+ Program is extremely simple. Simply head over to Project A+ and click on the Look Up Your School button, which you see below. Once you’re there, you’ll use your school’s phone number, zip code, or state to see if it is already enrolled. If it’s not, it’s just four easy clicks to enroll your school and your school will have the opportunity to earn $0.24 for every label collected. That is so much more than other programs offer. Plus, there are so many products that qualify for the program. All you need to do is find the label on Tyson products with the Program A+ label. I’m not sure about your school, but I know that at my school we are rationed with how much paper we are allowed to use at the beginning of the year. Paper!!! We clearly would benefit from this program and I was happy to see that someone had already enrolled our school when I looked it up. Now when I need a quick meal I know that I can use my Tyson product and know that it’s putting food on the table, but also paper in my students hands. You’ll be shocked how easy a meal can become when you have a half meal solution. I used Tyson’s Grilled & Ready Southwestern Chicken Strips for my Lime Cilantro Chicken Rice Bowl and the spices on the chicken worked perfectly. My Lime Cilantro dressing definitely tied the rice bowl together into a complete flavorful meal. 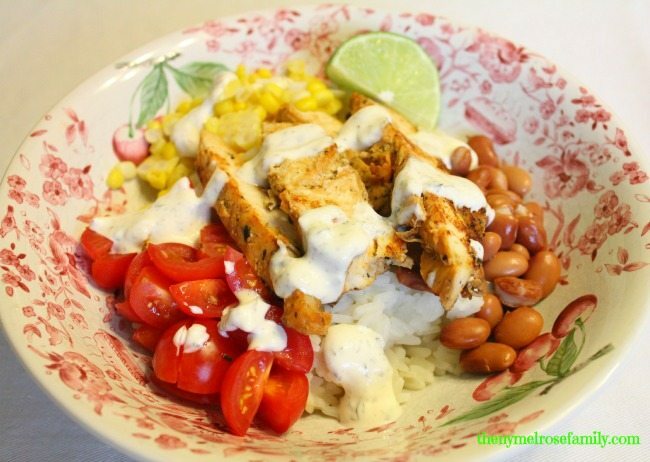 A quick and easy rice bowl with Tyson’s Grilled & Ready Southwestern Chicken Strips. Tyson’s Grilled & Ready Southwestern Chicken Strips. Prepare rice based upon product directions. Combine all ingredients for the Lime Cilantro Dressing and set aside. Prepare the Grilled & Ready Southwestern Chicken Strips according to the package directions. Once the rice is done add the rinsed pinto beans, chopped cherry tomatoes and grilled corn. 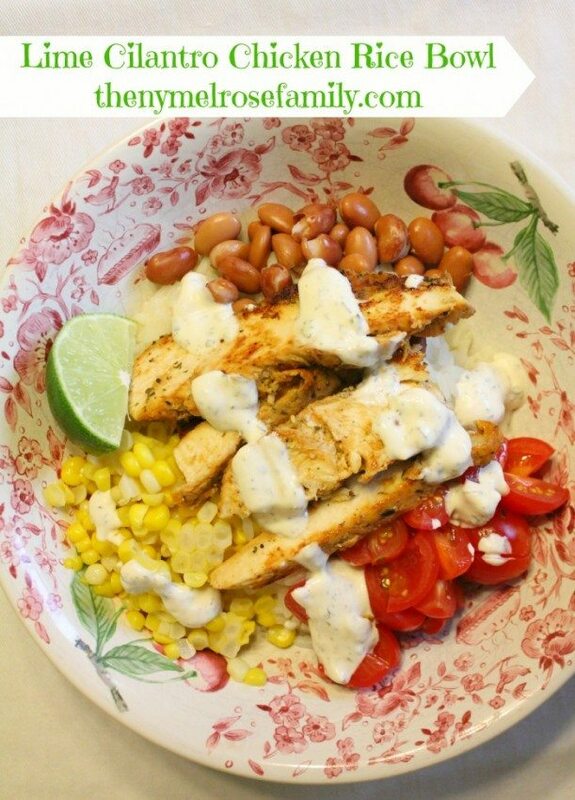 Add the Sante Fe Chicken to the top and garnish with the Lime Cilantro Dressing. For more inspiration using Tyson’s products follow along on Pinterest, Facebook and Twitter. I love rice bowls! Especially ones with chicken, beans and corn. Looks fabulous, and I love that Tyson is helping schools. Headed over now to see if ours is enrolled! I can’t wait to try this, Jenny! My kiddos are going to love it! Thanks for sharing.